All those responsible for the deaths of more than 100 people killed during the anti-government protests in Ukraine must be brought to justice, said Amnesty International today. The call comes as plans were announced to disband the riot police unit that were allegedly responsible for the excessive force used against protesters. “Moves to disband the riot police must not be used to allow the perpetrators of crimes off the hook. The Ukrainian authorities must not shirk their responsibility,” said Heather McGill, Amnesty International’s Ukraine researcher. In a separate move, on Tuesday the Ukrainian parliament passed a declaration accepting the jurisdiction of the International Criminal Court and called for the prosecution of former president Viktor Yanukovych. Amnesty International believes that every effort must be made to ensure prosecutions in domestic courts in the first instance. “Any approach to the ICC must be complementary to investigations and trials held in domestic courts. There can be no selective justice. The new government must demonstrate its ability to investigate human rights violations and to hold all those responsible to account in domestic courts. Justice begins at home,” said Heather McGill. The Council of Europe has proposed an Independent Advisory Panel to oversee investigations. Amnesty International applauds this initiative and calls on the Ukrainian authorities to support the move. It is clear that several protesters resorted to violence. However, the organization has documented many cases of peaceful protesters and bystanders being beaten and traumatically wounded by riot police officers. 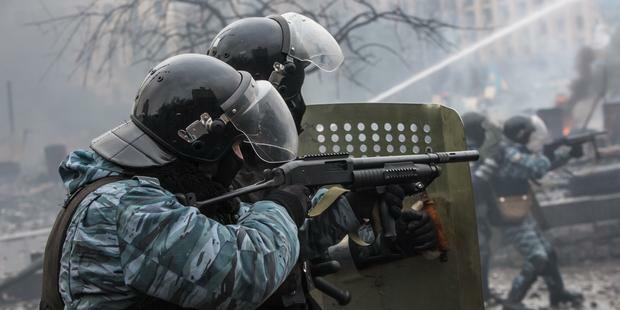 It is estimated that as many as 800 people were wounded during the demonstrations which started in November 2013. “The long-standing culture of impunity for police abuses must come to an end. Ukraine urgently needs an independent mechanism to investigate allegations of human rights violations by the police,” said Heather McGill.